A fine addition to our range of modern and contemporary furniture, comes this stunning coffee table from the Astoria collection. 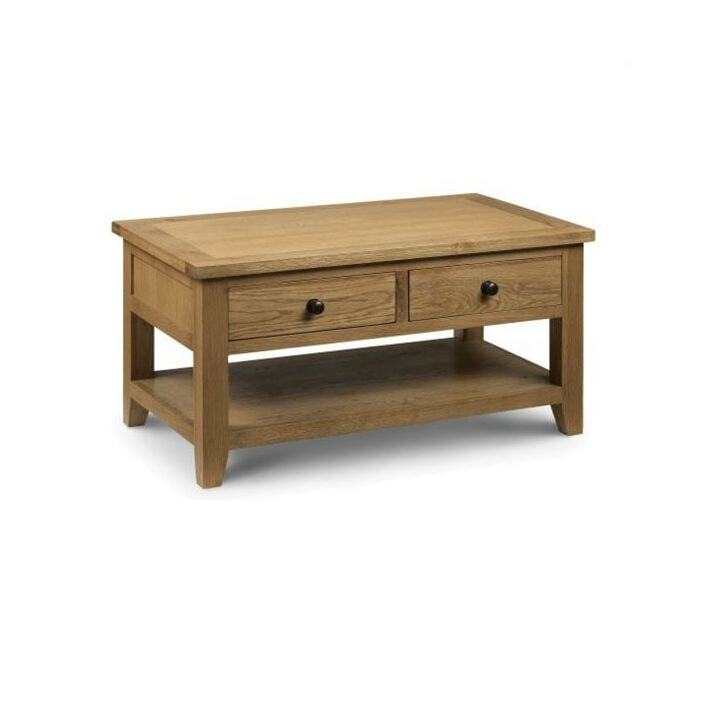 Handcrafted and carefully built to the highest quality, this coffee table made form American white oak is sure to astound. Featuring a lower shelf and two drawers that are accessible from either side, this coffee table will brighten up any room in an instant providing both practicality and aesthetics.